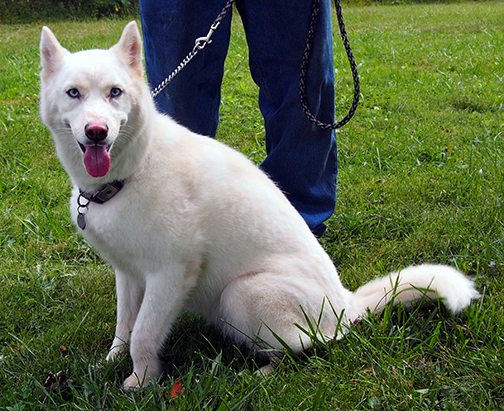 Cassie is a white, petite, blue eyed husky. She’s a love bug that will follow you around all day for a head scratching. Don’t let this innocent face fool you, she is a typical husky and will need a secure fence. This little girl lost her home due to the family splitting up.